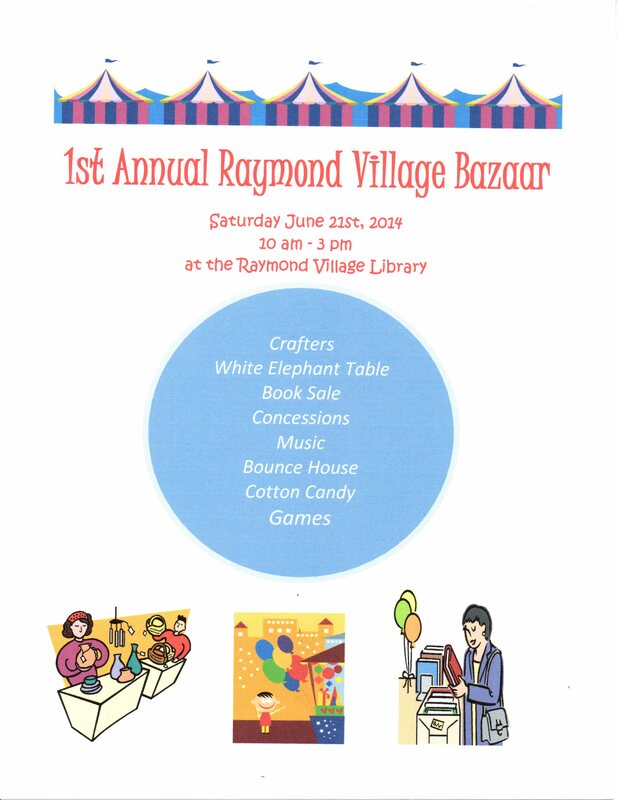 This will be the first annual Village Bazaar located in our hometown, Raymond. The fun will kick off at 10 am and go until 3 pm. The kids are going to love this one, there will be a bounce house, games, cotton candy, concessions, book sale, and much more. So pack up the whole family and come down to the Raymond Village Library for the festivities.